This post is not written to upset, offend or judge anyone else’s parenting decisions. You do you and I’ll do me is a great way to look at all things parenting because we are all unique individuals raising unique individuals in our own unique circumstances. Hmmm tough one. Like all topics parenting, it’s not hard to find a sore spot for people. Thing is, it doesn’t mean it shouldn’t be talked about. Just because we may come at things from different angles does not make the topic taboo in my book. I love hearing why people parent the way they do. I find it fascinating. Some things I hear I know are not for me and mine and others sit just nicely in my heart. So I think the only way to talk about it and still be fair to all parties is to tell the truth. Explain your thoughts, beliefs and reasoning and the other people can choose to take it as intended- you talking about you and your family choices or they can get up in arms, block you out, get offended and fill with misunderstood rage. It’s really up to them. So here’s my answer as to why I personally disagree with controlled crying. I tried it and it went against every motherly instinct in my body. At sleep school with my first, they did ‘responsive settling’ … To me, though others will argue it’s not, this was just a trussed up version of controlled crying. Seriously, if this was the softer, gentler version then heaven forbid I ever tried true controlled crying because it was awful. Awful for me and also awful for my baby. I know better so I do better. Since my time at sleep school, I have learned a lot. I now know the effects of raised cortisol and stress hormones. I now know what is normal infant sleep behaviour. I now know that it’s okay to continue to help my baby to sleep. I now know that my baby does not need to be taught to self settle as he will learn to in his own time (and it may take years to fully develop). I now know that catnapping is normal and not a sleep problem. Trust. For me, I want my babies to know that if they need their mum they have me. No strings or conditions attached be it day or night as many times as they require as long as they require. The end. Babies wake and need help to sleep for soooooo many reasons. I would never want to train my baby not to call out for me if they need me. I know how to get the best quality sleep and rest I can and what to do when sleep deprivation gets the better of me and none of it involves changing the perfectly normal behaviour of my baby and everything to do with me and helping myself. 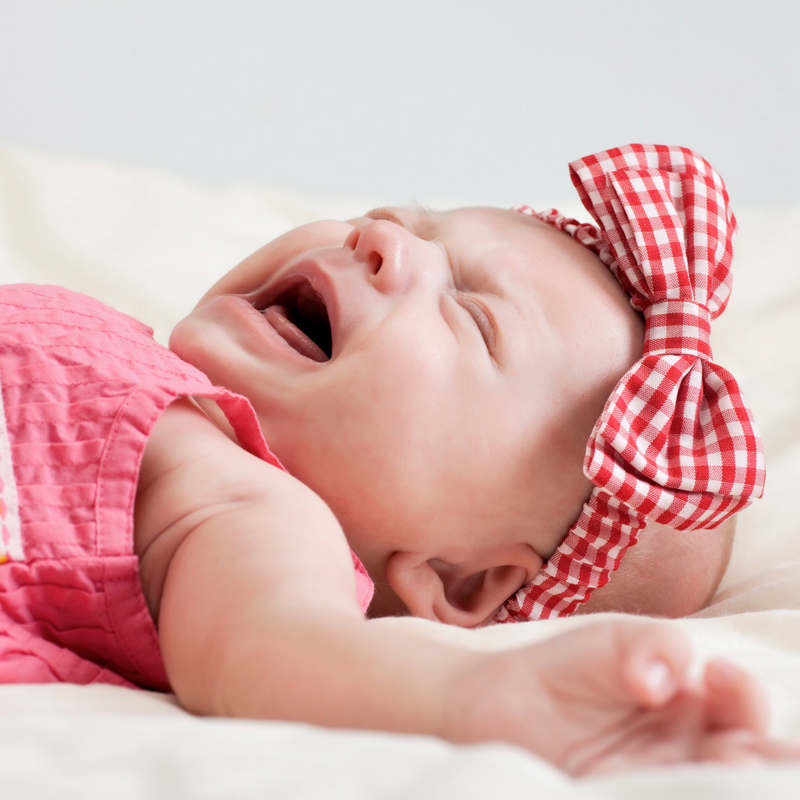 Babies who wake in an extreme fashion (mine did every 20-40mins around the clock for a few months) tend to be even more sensitive and even more in need of extra responsiveness and parental help. Being left to cry (however controlled) is not what these sensitive, intense, busy brained babies need in my opinion. Time actually flies. I know, I know. Sometimes it seems like it’s forever but it truly goes in the blink of an eye. The weary days will end. All on their own. No crying. No broken trust. No training required. I found being sleep deprived and fighting against my baby led me down the path to PND while being sleep deprived while accepting my baby as he was helped me recover. Is it safe? Nope. The science says its not. Is it respectful? Nope. I don’t believe Controlled Crying respects normal infant behaviour. Does it feel right? Absolutely not. It felt all sorts of wrong. So there you have it. This is why I don’t think this is an appropriate technique for my babies and therefore why I would never advocate it to others. If you are facing pressure to go down this path, read up on the research, look at gentler options if you want to try something but don’t for one moment feel like this is something you HAVE to do. It’s not. Your family. Your choice. Great article – I just found it through Pinky’s page and I’ll be sharing it too. It feels impossible to not seem judgemental when we talk about any parenting topic – someone always takes offence but that’s why it’s so important we don’t shy away, that we face it head on and inform, inform, inform. You are so right – when we know better we do better. Great post, it’s good to hear I’m not the only one who feels this way, especially when family members keep telling me I give my son “too much attention” and that letting him cry would be good for him! Everything I believe in, thank you!